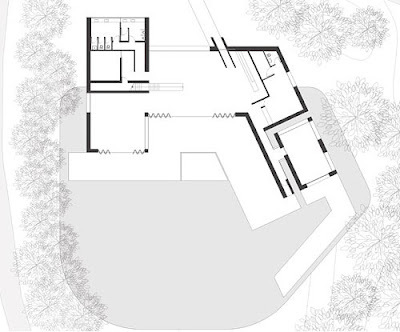 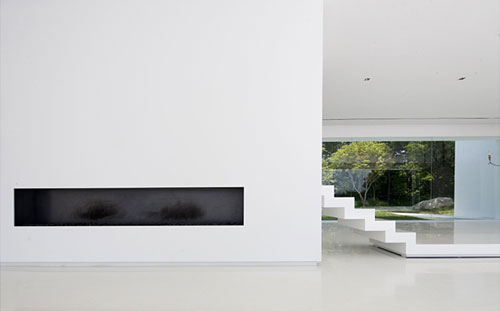 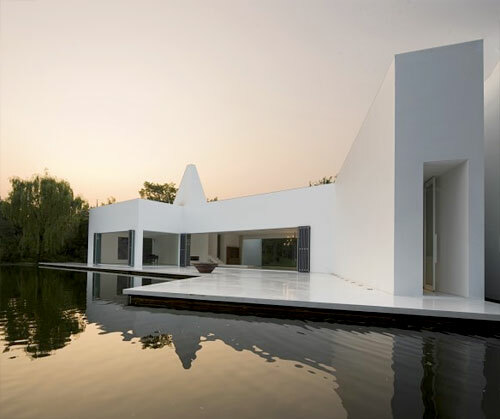 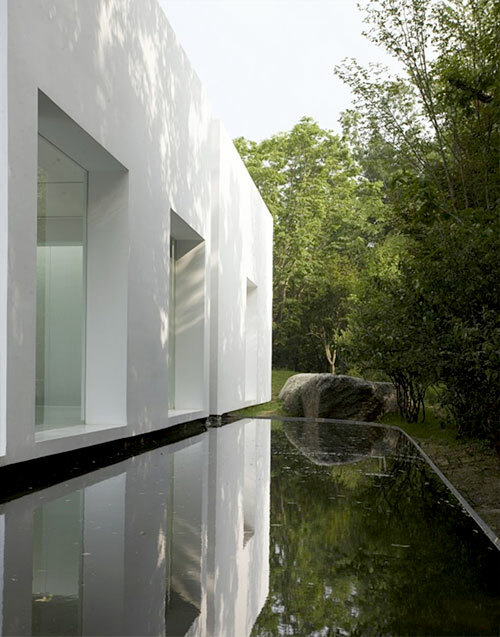 'White house' is a minimal house open to nature, by Seoul based architects Need21. 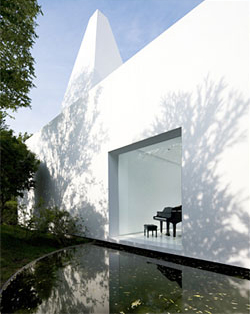 The building, located in Gyeonggi-Do, in South Korea, won the 2011 Korea space design. 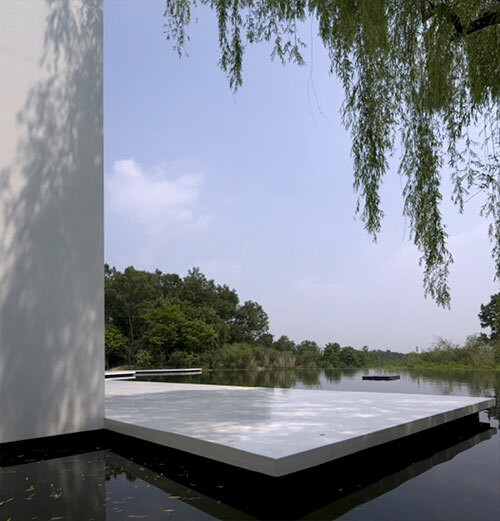 The design is based on the elements of nature, the movement of air, water and light. 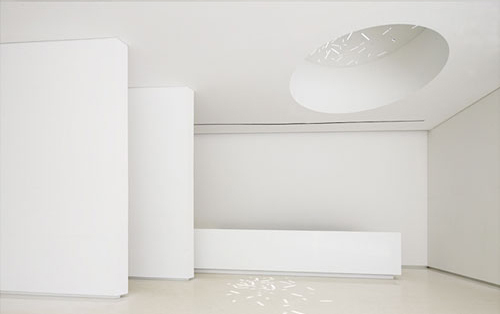 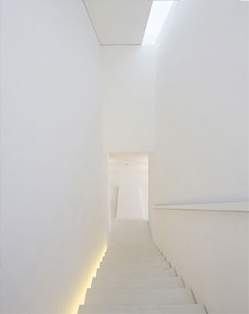 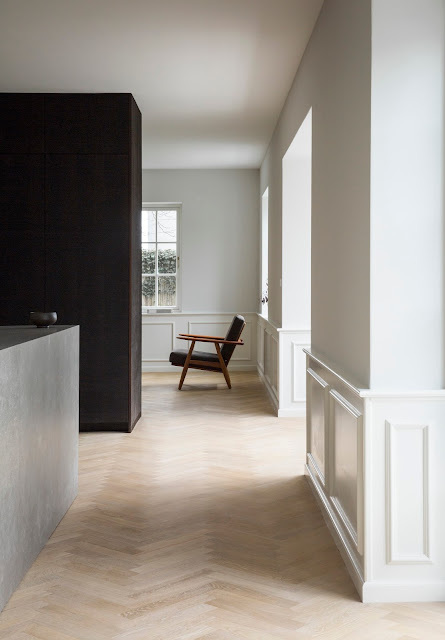 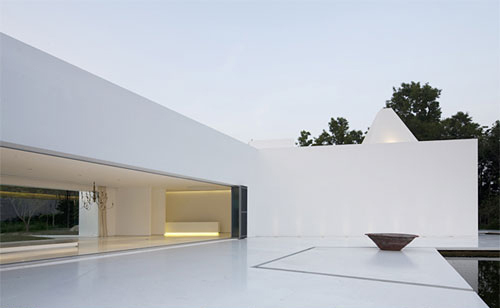 The interiors are characterized by silent emptiness and white as the dominant color.